The PFMC has completed the groundfish biennial management process for 2017/18 and in the North we will finally see a few improved conditions, with some trade-offs. We will be allowed ten more fathoms of depth (20 to 30) and have “all depth” for the season extensions into November and December. This will allow us to go offshore late in the year and try to find yellowtail rockfish that are plentiful. Also, we can fish for rockfish while we soak our crab pots. Petrale and starry flounder will be all depth and be treated like sanddabs. The downside is that by being restricted to 20 fathoms for so many years we are impacting the shallow water species, specifically black rockfish. The blacks have been reduced from five to three in our bag limit and the ling cod reduced from three to two, but with canary being rebuilt we will be allowed one in the bag limit. As you can see it’s a constant shuffle of fish in and out of the bag limit, changing depths and harvest allowances, depending upon pressure and population assessments or estimations by the fishery scientists. And I use the terms science somewhat loosely, because at times, there is very little data and educated guesses are a more appropriate terminology…but they do the best they can with what they’ve got. The bottom line is the Magnasun-Stevens Act (MSA) process requires management and harvest rules to be set, so decisions and action are mandated by law. What we are experiencing in our northern area is witnessed all over the west coast and by all fishing sectors. The MSA has created a massive bureaucratic system with five meetings a year, 6-7 days each that deal with all sectors of the fishery, environmental groups, associations, marketing groups, individuals, state and federal reps and every conceivable topic ranging from drift gill net to bottom contact, to assessment of over 50 fish stocks, fish complexes, environmental factors, climate changes, off-shore leases for wind and energy…and the list goes on. Out of all these thousands of pages of Briefing Book information, hundreds of hours of testimony and deliberation the PFMC harvest rules and management measures are constructed in two year cycles. Every decision made selects winners and losers of those with capital and financial interests committed to fishing, processing or marketing. There is no “primer” on the MSA process. You basically just have to roll up your sleeves and wade into the process, reading massive amounts of literature, watch and listen to the various management plans and methods for harvest and management measure deliberations and decision making. It takes several years to get comfortable with the acronyms and verbiage of the Staff, Council, lawyers, regulators and industry representatives. And out of all this jumble of chaos, data, opinions, bias and science…decisions are made…some better than others. Our local situation could be better…but it could be a lot worse. 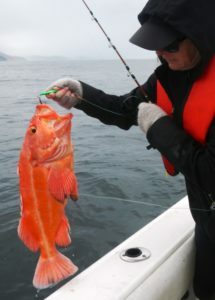 We have made gains on rockfish season length and depths, but at the expense of our bag limit. The Canary being rebuilt is a plus, but the yelloweye (YE) is still very constraining. The trawl sector is in far worse shape than the sports, due to a number of constraining species. Many ports have witnessed their trawl fleet reduced from a few dozen to a handful, and very controlled and constrained by the need for observers (at $500 per day). The trawl fleet is only harvesting about 25% of their allowances due to constraints and observer availability and costs. The trawl fleet is being driven out of business, much to the delight of NGO groups and environmental associations. Why does that matter to the sports fleet you ask? Here’s why. All small ports are losing their infrastructure due to few fish landings and increased costs. Fish buyers are pulling out and infrastructure is crumbling, boats are relics at the docks and commercial fisherman are being regulated out of existence. 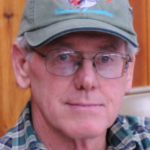 Commercial fishing is following the path of logging and manufacturing in our area, with eco-tourism and tourist venues being proposed to attract tourist dollars. This is happening all over the west coast. From one perspective, the regulators can brag the MSA has improved the fish stocks, but at what cost? Are the regulations so severe and so constraining that we will end up with empty ports and infrequent recreational fishing the only survivor? We only have to recall the Marine Protected Area process to witness what can happen by well-funded efforts by NGO and environmental groups. This is happening at all levels of fishery management and lawmaking in Congress. It is imperative that fisherman form associations and stay involved in the process. Yes, it takes time and effort to stay informed, but if you don’t the other well-funded and professionally represented groups will drive the agenda, and slowly reduce your fishing opportunities. Halibut is our local example of how we have been effectively marginalized and cut out of the process. After WWII, foreign and American trawl fleets decimated the halibut in our area, and State and Federal Agencies had little or no interest to reign in the commercial fleets. We are now suffering the result of those impacts. In the 1990’s, the Pacific Fishery Management Council (PFMC) divided up the 2A remaining halibut allocation to the Commercial Fleet, the Washington Tribes, and the Washington and Oregon sports fleet. California was not even considered at the PFMC until the recent surveys done in 2013 and 2014. Our Officials were absent from the process and showed little interest or involvement. The allocation was fully prescribed to Washington and Oregon and the Tribes and they now refuse to acknowledge that California deserves more halibut allocation, and they outvote any measures to adjust the quota. California officials are out voted and basically marginalized in the current process, and that is partially due to their own action for the past twenty years of disinterest. I believe our best strategy in future efforts may be to get the California Fish and Game Commission more involved in the process to demand some adjustment to the current harvest control rules, where we can gain more access to the halibut in our areas as demonstrated by the surveys of the IPHC. This is a very political process and we on the north coast have minor political impact when compared to the rest of the State. The current process at the PFMC could be described as a “tyranny of the majority”, and needed changes will not be implemented soon or easily. We need much support from our Legislators and Commission to force a shift in position at the PFMC. Hopefully, this fall with the October Commission meeting in Eureka, we can get some support from the Commission in this endeavor. It will be important for many of you to put in an appearance and request that the Commission and Chuck Bonham get involved in the process and give us support to get a more fair allocation of the halibut quota for California. Due to the high winds this year, we are not harvesting many halibut and only about half of the quota has been harvested to date. This may allow us to fish well into the fall for Pacific halibut, so that is the only bright spot in all this commiseration. Hopefully, the wind will back off before Labor Day, so we can get in some time for salmon, halibut and rockfishing. Salmon closes on September 6th, so time is getting short.